Yesterday was a milestone. Our first signing! In a comic book store! 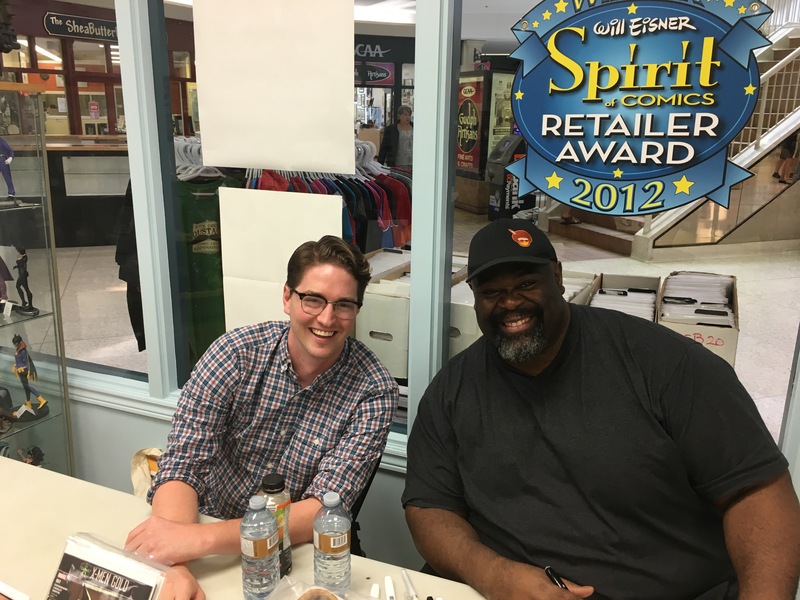 To help celebrate its 19 birthday, The Dragon (Guelph ON) invited us to sign Group of 7 alongside Marvel and DC artist Ken Lashley (Xmen, Age of Apocalypse, Superwoman, Deadpool, Black Panther, etc). Unfortunately Jason couldn’t attend (which is a real shame because I had so many people comment on how much they love the G7 art) but overall, I couldn’t have asked for a better first signing. 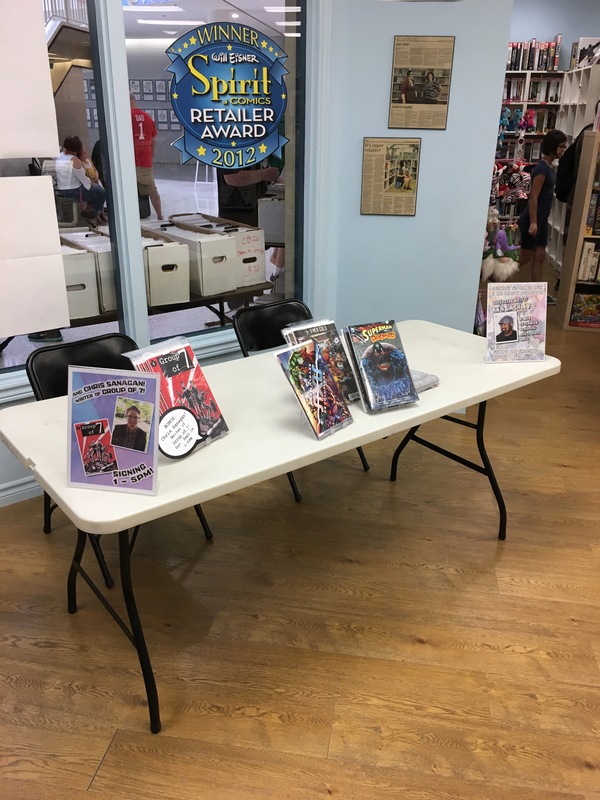 The people were great (we sold 9 copies and a bunch of kids showed me the comics they made at home), The Dragon were amazing hosts and Ken was an unbelievably kind and patient table-mate. So much great advice on starting out in the comics biz, what to expect moving forward and the unique working relationship between writer and artist. 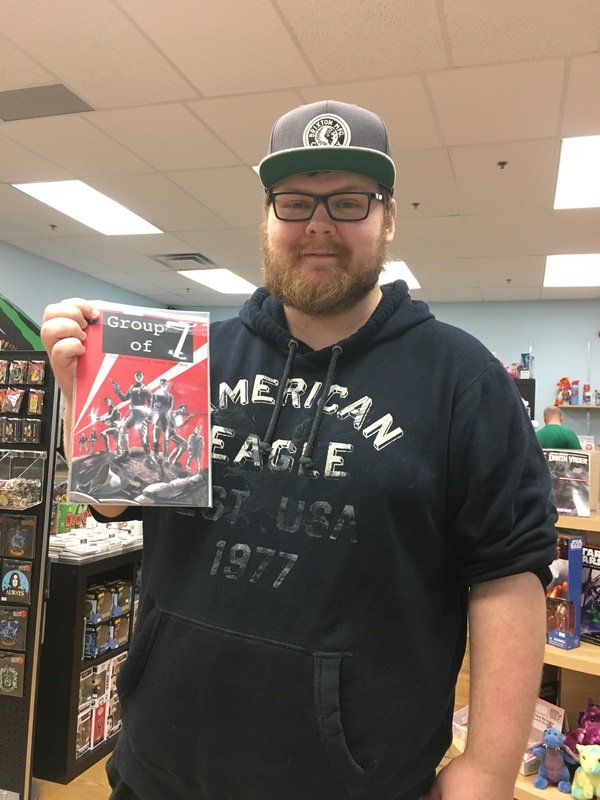 Special shout out to Austin (pictured below) for being our very first store signing! Also, apologies to everyone I signed the book for. Upon reflection, my handwriting/signature/messaging is currently “meh.” I’ll get better, I promise. Well one store BUT two locations so “stores” is technically correct. If you’re in Guelph or surrounding area, you can pick up YOUR copy of Group of 7 Issue #1 at The Dragon (both downtown and south end locations)! The folks there were even kind enough to feature Group of 7 in its own display. So shop early, shop often and most importantly, shop at The Dragon.